follow I’ve wanted to put up a post about the wedding reception I did for Cody and Chanté over Mother’s Day weekend, but I don’t yet have the photos to do so. levitra use and side effects So, while we wait for those, I have a sneak peek at a new business venture that my friend and colleague, Kim Howard, and I are looking into embarking on. levitra generico italia pagamento online I put together this 3.5 x 1.5 foot Harmony Board for the reception. 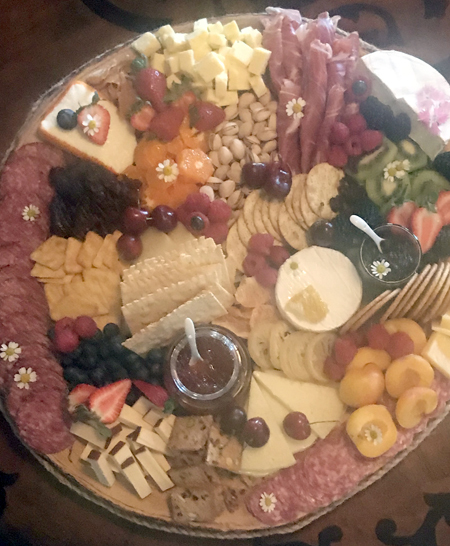 It consists of a cheese board, charcuterie board, crudités and fruit board. price cialis We’ll call it Harmony Board 1.0. 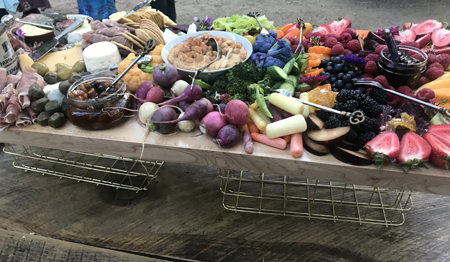 Over the weekend I brought Harmony Board 2.0 to Tram and Steve’s dinner party. 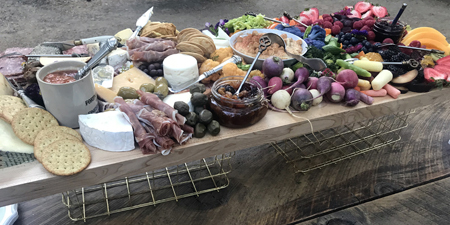 It is the basic charcuterie board on a 23″ round tree slab. I will be needing this service! GENIUS! This is beautiful and terrific idea!